The most popular dance reality show of India, Nach Baliye 8, airing on Star Plus Live, has come to a grand ending on 25th June 2017. Divyanka Tripathi and Vivek Dahiya stood as the winners among the three finalists which included couples Sanaya Irani- Mohit Sehgal, Abigail Pande- Sanam Johar. The couple won a cash Prize of 35 Lakh, Jewelry worth 2 Lakh from Orra, along with a Hero Maestro. The couple has been a strong contender from the start and won high scores and votes from the Judges and the public. Ranbir Kapoor has appeared as a special guest in the Grand Finale as a part of the promotion of his new film, Jagga Jasoos. The season also saw the appearance of winners from the previous seasons, Jay Bhanushali and Mahhi Vij and Sanjeeda Sheikh and Amir Ali. The episode also had some magical moments like the proposal of Abigail Pande to Sanam Johar. The performance of Sonakshi Sinha to the song Radha was a watch worthy experience. Anurag basu and Mohit Suri’s performance along with Ranbir was a highlight too. Sanaya and Mohit stood as the second finalists in the season while Sanam and Abigail stood as the first runner-ups. 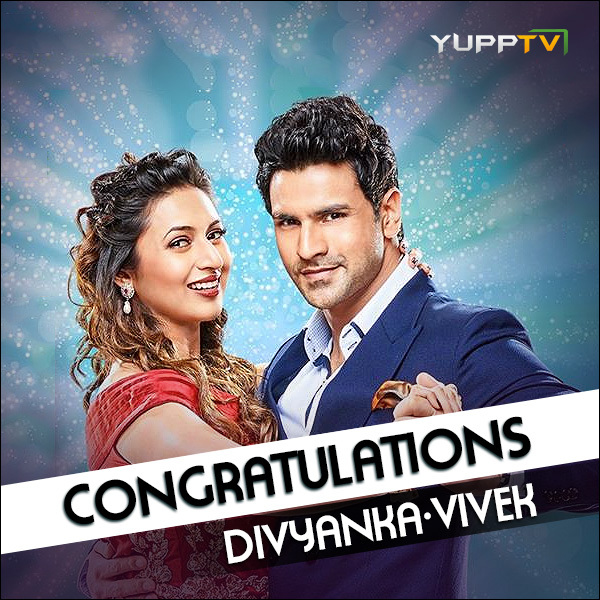 YuppTV congratulates the Divek Couple on their glorious Victory and the runner ups Sanam- Abigail and Sanaya- Mohit for their brilliant attempt.